Hard to find, High Efficiency, low maintenance, riverfront living with privacy from all decks on each level on the property. The Seller spared no expense. This home offers top of the line construction and finishes, seller will not get his return on investment, his plan was to never move. HERE IT IS!! RIVERHEADS SCHOOL DISTRICT IN BEAUTIFUL ARBOR HILL.EASY 1 LEVEL LIVING WITH PANORAMIC VIEWS AND PARTLY WOODED.ALL BRICK RANCH IN A DESIRABLE SETTING. BETTER HURRY ON THIS ONE. ALL APPLIANCES CONVEY. Turkey Ridge is a 75 acre oasis in the heart of wine country. A mature forest with rolling hills wraps itself around a strong stream that leads to the Hazel River. The northeast corner of the property has several hundred feet of river frontage on the Hazel River. 19 ACRE FARM ON SHENANDOAH RIVER. 2 PLOTS, 15 & 4 ACRES. 10 MILES FROM HARRISONBURG IN QUIET, SAFE, & HISTORIC COMMUNITY. IDEAL FOR YR AROUND REC, SMALL-SCALE FARMING & RAISING LIVESTOCK. FARMHOUSE .25 MI AWAY & 40 FT ABOVE RIVER. IN EXCELLENT COND WITH NEW HW FLOORS, CENT AC, CHERRY CAB, WINDOWS, MBR ON ML, & OIL HEAT. Located in the highly desirable Grand View area this home offers the best of country living in a tidy package.~~ The ten acre lot features 650~ of frontage on the Rush river.~ The three bedroom home is in immaculate shape and is move-in ready.~ With high speed internet and a comfortable home office, telecommuting is a breeze. 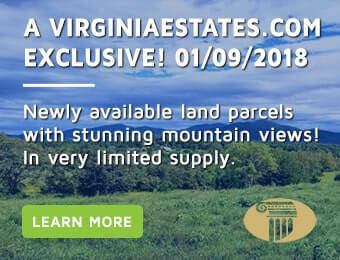 Property with SHENANDOAH RIVER FRONTAGE: 1 lot totaling 7+ acres, 240 ' of Shenandoah River frontage! Lot 7 (Tax #37A2--3-7, ASSESSED @ $344,600) .. Presently used for horses and has multiple fields for grazing & riding with multiple barns with box stalls, and fencing. 3 Bedroom, 2 Bath Rambler, see floorplan. This custom built home is located a mile from the Shenandoah River! Open floor plan w/ tons of natural light, large living/dining combo, gourmet kitchen w/ unique concrete counters & large breakfast island. First floor master w/ soaker tub, massive closet & private porch. Large finished basement w/ 12' ceilings offers endless possibilities. Huge back deck on 3. This impressive, custom built home is located a mile from the Shenandoah River! The main floor offers an open & airy floor plan w/ tons of natural light, large living room w/ Rumford wood-burning fireplace, & cozy built-in windows seats. The gourmet kitchen will inspire your inner chef w/ stainless steel appliances, unique concrete counters & large breakfast island.